I started off at Ulovane in 2012 just doing the FGASA level 1 course, however, I returned in 2014 (took some time off work) to do the backup trails course. I then continued guiding on a beautiful property in the Eastern Cape called Kariega Game Reserve. 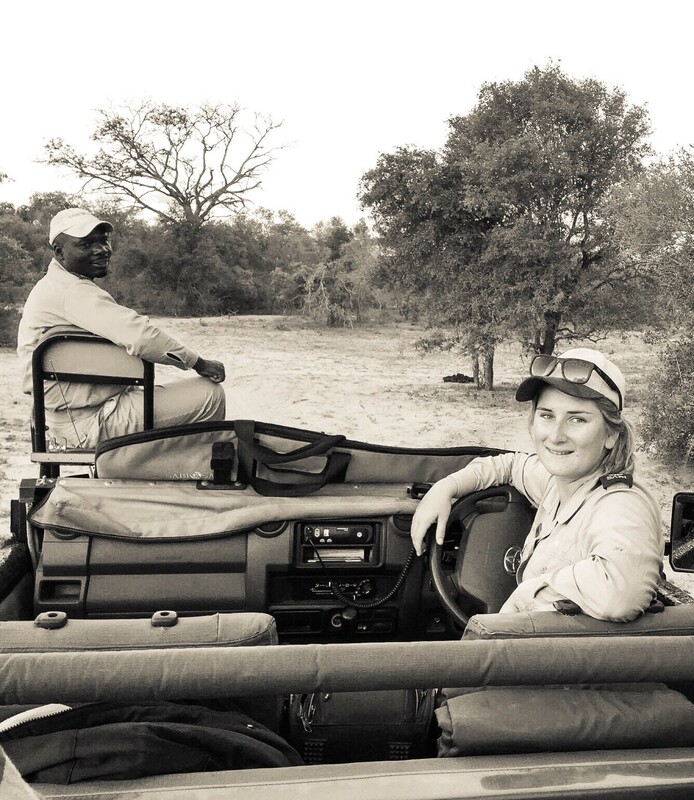 I then moved to Zambia to work in the Lower Zambezi National Park as a lodge manager, I missed guiding way too much and got an opportunity to work in the the Sabi Sand Game Reserve. I have been in the Sabi Sands for just over 2 years, started in the south at Sabi Sabi’s Earth Lodge however I have moved on from traditional guiding. I now work for WildEarth as a Presenter on the show SafariLIVE. Not too sure what my next plans will be! I love what I’m doing at the moment and as long as I continue to grow as a guide, expand my knowledge and get the opportunity to bring joy to people lives then I’ll stay put! However, I’d like to complete my FGASA level 3 and eventually get my assessors. Ulovane is really a great training provider, all aspects were covered in immense detail! From learning how to cook, setting up a simple sundowner to taking a moment to appreciate how wonderful nature is! You showed me how important it is to conserve the wilderness areas and portray this in an educational way to guests from across the world. I have 2 favourite memories from my time at Ulovane, the 1st one is the day that Schalk pulled me aside and told me that I needed to work on my birding… After this conversation, I had never in my life been more driven to improve in an area! I remember sitting outside for the rest of the afternoon looking for birds! Today I can say that birding is one of my passions! (All thanks to you Schalk!) The 2nd experience was the 24hrs alone in the bush… I was petrified, to say the least but it made me realise how small you really are in the world! What a humbling experience that was! This may seem strange but my most memorable experience so far is the day I got the call being offered a job at WildEarth. I’m surrounded by the best guides in the industry who are the most amazing mentors! The laughs, unbelievable sightings and comradery the team has is like no other I have ever experienced! The guiding industry is becoming a very competitive market, my advice to anyone wanting to join is be prepared for hard work, keep your head down and set yourself goals! Don’t become a stagnant guide continue to further your studies and go on as many safaris as you can with experienced guides! (Listen to their stories) You can never stop learning in the bush! To watch what these guides get up to, go to www.wildsafarilive.com the SafariLIVE website.